– The Department of Modern Languages will present the Tournées Film Festival March 16-April 17 at Missouri Southern State University. 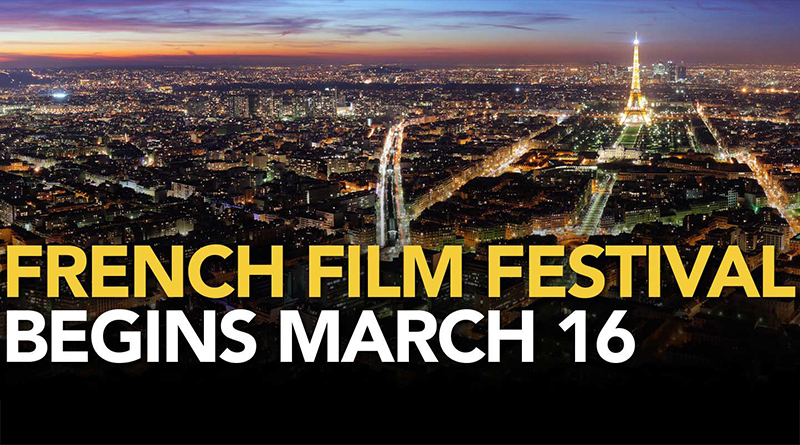 The Tournées Film Festival Grant is an initiative of the FACE Foundation, in partnership with the Cultural Services of the French Embassy, which endeavors to bring French cinema to American college and university campuses. All films have English subtitles and all screenings and other festival activities are free and open to the public. The coming-of-age story is based on acclaimed French rapper, novelist and writer-director Abd Al Malik’s own youth. Two men are tossed by sociopolitical forces during Algeria’s war of independence in 1954. A tragic love story of a wealthy man and the frail woman he meets at a party, the film features whimsical touches, stop-motion animation and digital effects. Take a backstage tour of a Paris hospital where life and death decisions make fuses run short. A candid and surprisingly funny approach to universal questions of human dignity and empathy. The film follows fictional French Resistance leader Phillipe Gerbier as he escapes from the Gestapo and sets about rebuilding his network. The characters are based on real Resistance figures. The documentary follows a year in a Paris school room for children who have recently immigrated to France. The film creates complex portraits of the children and captures the diversity of their experiences. The tale of a young black woman’s uneasy relationship with a wealthy white family is based on author Doris Lessing’s short story “Victoria and the Staveneys.” The final film festival selection was the People’s Choice during a recent online vote. For more information, visit www.mssu.edu/french-film.